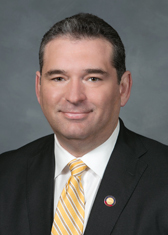 Rep. David Lewis (R-Harnett) said Friday that he does not expect the legislature to move forward with plans for statewide judicial redistricting — nor does he expect a constitutional amendment for a merit selection plan. He spoke to reporters after the House Select Committee on Elections passed redistricting measures affecting several counties including Mecklenburg, Wake, Onslow, Hoke and Stanly counties. “Sometimes you don’t get the entire pie, you don’t get the entire blue ribbon if you will, but you get a good strong second place or second choice and I think that’s what this is,” Lewis said. He added that there was an enormous amount of work put into statewide judicial redistricting, and that he thinks it needs to be done at some point, but another push likely wouldn’t come until after the next Census in 2020. Senate Bill 757 splits up Wake and Mecklenburg district court districts, which means that those judges would no longer run for election in county-wide races. The plans do not double-bunk any judges but two seats are eliminated in one proposed Mecklenburg County district. House Bill 1037 makes changes to superior and district court districts in Duplin, Jones, Sampson and Onslow counties, Hoke, Moore, Anson, Richmond and Scotland counties and Montgomery, Randolph and Stanly counties (Burr’s district). There is a proposed committee substitute (PCS) pending in the Senate to the overall statewide judicial redistricting bill, HB717, but Lewis said it affects western districts and that lawmakers from the House and Senate are not in agreement, so it likely will fail. The Senate does support the changes that the House committee passed Friday. 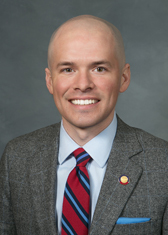 SB757 and HB1037 have been placed on the House calendar Monday for a vote. “unfortunately there was not consensus? ?” How about, statewide demonstrations, phone calls, e-mails, letters to the editor in opposition? And Justin Burr losing his bid in the primaries? I would call that a definite lack of consensus and thank God for it.